High school students will be matched one-to-one with an elementary student in a nearby school. You’ll spend one hour a week with your Little Buddy on school grounds – play board games, sports, or just hang out. It’s a great way to gain new skills and more importantly, an awesome way to have fun! With a Little Buddy you get to play games, sports and try cool activities at their elementary school. This is open to students in grades 9 – 12 and allows a young child to build a friendship with a caring student in their neighboring high school. Do tons of fun activities and games together including painting, dodgeball, soccer and making ice cream cones! Read Bojana’s personal story about being a Teen Mentor. If you have been a Teen Mentor and you’re looking to transition into the Adult In-School Mentoring Program, please go to the Become an In-School Mentor page. Please note that the Teen Mentor program is not offered at all schools, please see the FAQ section for a full list of schools offered. Big Brothers of Greater Vancouver embodies the principles of diversity and welcomes participation regardless of race, religion, culture or sexual orientation. Thank you for your interest in applying to volunteer for Big Brothers of Greater Vancouver. We're so excited to learn more about you! There are so many children who are waiting for a mentor like you - and we can't thank you enough for taking the time to fill out this application form, so that we can find the best match for you. We kindly ask that you do not enter "n/a" anywhere on your application as this can delay the processing of your application. 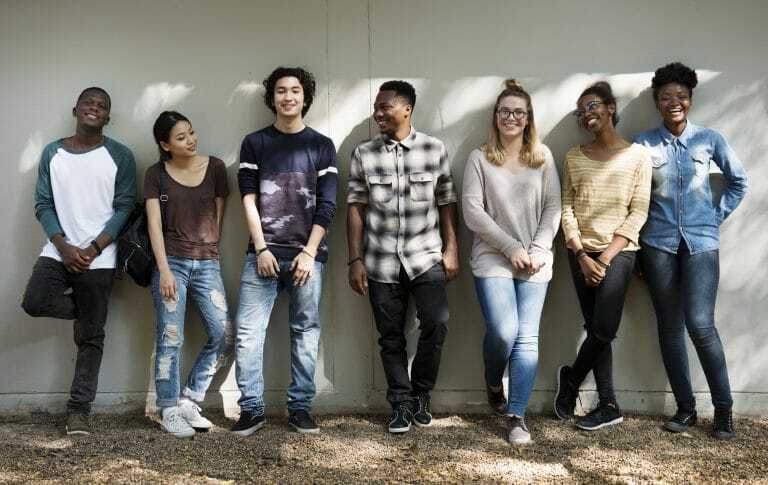 Please note that we only offer the Teen Mentoring program at select schools across the Lower Mainland and Sea to Sky regions which are listed on your application. At the end of this application, you will be asked to enter your parent/guardian's e-mail address. We require your parent/guardian's consent to complete your application. Your parent/guardian will receive our Volunteer Permission and Release agreement and be asked to read it over with you, sign it and email it back to us within 24 hours of receipt. Without receiving this form from parent/guardian, we will not be able to process your application. Our agency will be contacting them via email in regards to your application as soon as we receive a parent consent from your guardian. Unfortunately, we do not currently offer Teen Mentoring program at your school. We require your parent/guardian's consent to complete your application. Please apply once your parent/guardian has consented to your participation. If you have lived in another country, where? The Agency and Big Brothers Big Sisters Canada (“BBBSC”) are separate entities and this Agreement is between me and the Agency. (d)	If I am accepted into a Mentoring Program, I understand that I will be required to enter into a confidentiality agreement with the Agency, and I agree to abide by the volunteer position description(s) and code(s) of conduct established by the Agency, including any applicable guidelines, Standards and policies. (a)	I am responsible for all risks associated with my involvement in a Mentoring Program including, without limitation, the risk of bodily or psychological harm or injury. (b)	Subject to local laws, I agree not to sue the Agency, BBBSC and/or any of their member agencies in respect of any such injury or claim resulting from my participation in a Mentoring Program, my Volunteer Application, the acceptance or denial of my Volunteer Application, the Alumni Program and/or my association with the Agency or BBBSC. (d)	I agree to reimburse the Agency and/or BBBSC and/or any of their member agencies for any damages or losses of any kind (including but not limited to the injury of any other person and/or damage to or loss of property) that may arise in connection with my gross negligence, wilful misconduct, or failure to act in accordance with published BBSC policies and guidelines and relating to or arising in connection with my participation in a Mentoring Program or my association with the Agency or BBBSC, including payment of any and all legal expenses of the Agency, BBBSC and/or any of their member agencies. 3. Background Check. I understand that my acceptance into the Mentoring Program will be conditional on my successful completion of a background check, which may include contacting the references included in my Volunteer Application and/or a criminal record check, for the purposes of confirming my suitability for the Mentoring Program. I agree to provide all necessary consents for such background checks. 4. Privacy Notice. The personal information provided by me or otherwise collected by the Agency in connection with my application will be used by the Agency for the purpose of evaluating and considering my Volunteer Application and, if accepted into a Mentoring Program, for the purpose of administering the Mentoring Program. This information may include my name, phone number, mailing address, date of birth, results of background check, and driver’s license and auto insurance information. My personal information will be maintained by the Agency on a confidential basis and will only be disclosed to the parent(s) and/or guardian(s) of a child with whom the Agency may consider “matching” me in a Mentoring Program, to representatives of a school or institution in connection with my participation in a site-based Mentoring Program, to the BBBSC as required for the purposes of accreditation reviews or legal proceedings and as otherwise required or permitted by law. In the event the Agency ceases operations, any and all information about me held by the Agency will be provided to BBBSC, another BBBSC agency selected by BBBSC, or both and will be used for the purposes set out above. In the event where it is deemed necessary, any and all information about me held by the agency will be provided to BBBSC, another BBBSC agency selected by BBBSC, or both and will be used for the purposes set out above. No information will be provided to persons or organizations outside of Big Brothers Big Sisters of Canada, and its agencies, about parents, children or volunteers without their express prior written consent except where required by law. 5. Other Terms of this Agreement. (a)	In entering into this Agreement, I am not relying on any oral or written representations other than as set forth in this Agreement. (b)	This Agreement shall be governed by and construed pursuant to the laws of the Province or Territory in which the Agency is located. (c)	In the event that any provision or term of this Agreement is held to be invalid, illegal or unenforceable, the remaining provisions of this Agreement shall remain in full force and effect. IMPORTANT: I acknowledge that I have read the terms of this Agreement, have been given an opportunity to obtain independent legal advice, and understand that it represents a waiver of certain legal rights, including the right to sue. I further agree that such limits are reasonable and sign this Agreement freely, voluntarily and without duress. #6 Media Consent. Any photographs or video productions taken of volunteers by agency staff at recreational events or match outings, or otherwise authorized by the Executive Director or Board of Directors, may be used by the agency for purposes of promotional material including brochures posters, newsletters, media information, advertisements, audio-visual productions and web pages, such as the Agency website and social media. Photographs or video productions may also be shared with community and school partners and Big Brothers Big Sisters of Canada for program promotion. Please provide two references (one from school, and one personal) that know you well and are 19 years of age or older. Your personal reference must have known you for at least two years. We will contact them via the email address you provide as soon as we receive your guardian/parent consent form. If your personal reference doesn't have an email address, please contact your Mentoring Coordinator. Please make sure that you have notified your references that our agency will be contacting them in regards to your application. A school reference can be a teacher, counsellor, vice-principal or principal at your current school. If you have not attended your current school for at least one semester or term, you can use a reference from your previous school. This reference may not be accepted. Please contact someone else who is 19 years or older and knows you well at your current/previous school to be your school reference. If you need any clarification, please contact your Mentoring Coordinator. A personal reference refers to anyone other than a family member who knows you well and on a personal level. They could be your coach, colleague, religious leader, or family friend but may not be related to you. This reference may not be accepted. Please contact someone else who is 19 years or older and has known you well for over two years, to be your personal reference. If you need any clarification, please contact your Mentoring Coordinator. Please provide information for a family member or close friend over 19 years old we may contact in the event of an emergency. Please enter your parent/guardian's email address. They will receive our Volunteer Permission and Release Agreement and be asked to read it over with you, sign it and email it back to us within 24 hours of receipt in order to complete your application. You will sign the same form in person at your interview time. The Teen Mentoring program is for high school students who are in grade 9, 10, 11 or 12. What is the basic commitment of a teen mentor? One hour per week for one school year (September – June). How old are Little Buddies? The boys and girls are in grades 1-6. What are the children like? The children in our program need some extra attention from someone like you because they might be shy or have trouble making friends. They’re regular children who need an older friend to hang out with once a week. Just by being a caring friend, you are acting as a positive role model. You and your Little Buddy may choose to play outside, shoot hoops, or kick a soccer ball around. Or you can stay inside and read, do arts and crafts, play computer games or just hang out. When you apply, we’ll ask you about your interests and then pair you with a boy or girl who likes the same things you do. If you like sports, we’ll find a child who likes sports too. If you’re into drawing and playing board games, we’ll pair you with a child who likes to draw and play games. Does Big Brothers stay involved after I first meet my Little Buddy? Yes. We provide on-going support and monitoring. Each Teen Mentor has a mentoring coordinator who is available to deal with any questions or concerns that come up. Phone check-ins and scheduled meetings will happen regularly so you can talk about how your friendship with your Little Buddy is going. When you’re with your Little Buddy, there will always be a school staff person or Big Brothers mentoring coordinator nearby in case you need any help. If you are seeking a Teen Mentor for your son or daughter, please contact your child’s school principal or Big Brothers for further information.